Gin has always been the star ingredient in the classic G&T. But the tonic can be very lucrative. Independent British tonic maker Fever-Tree has built a $3 billion business in just over a decade by mixing up premium carbonated beverages that are designed specifically with gin in mind. It's now one of the hottest stocks around. Fever-Tree shares listed in London have skyrocketed from about £1.60 ($2.10) when they debuted in 2014 to a high of £22.61 ($29.14) this week. That's an increase of more than 1,300% in under three years. It's a success story that's been fueled by an explosion of interest in gin, a juniper-infused spirit that had fallen out of fashion in recent decades. Fever-Tree was founded by Charles Rolls and Tim Warrillow, who researched tonics and flavors for 15 months before launching their first mixer in 2005. The firm now sells 14 flavors across Europe and in a smattering of other markets, including the U.S. They're premium products, marketed as the perfect mixers to pair with expensive craft booze. A single 500ml bottle retails for around £1.70 ($2.25). "If 3/4 of your gin & tonic is TONIC, make sure you use THE BEST," scream Fever-Tree advertisements in London's subway system. The drinks comes in sleek glass bottles to help justify their premium price, and the flavors are fancy too. "Elderflower Tonic Water," "Spiced Orange Ginger Ale" and "Premium Indian Tonic Water" are just a few of the offerings. 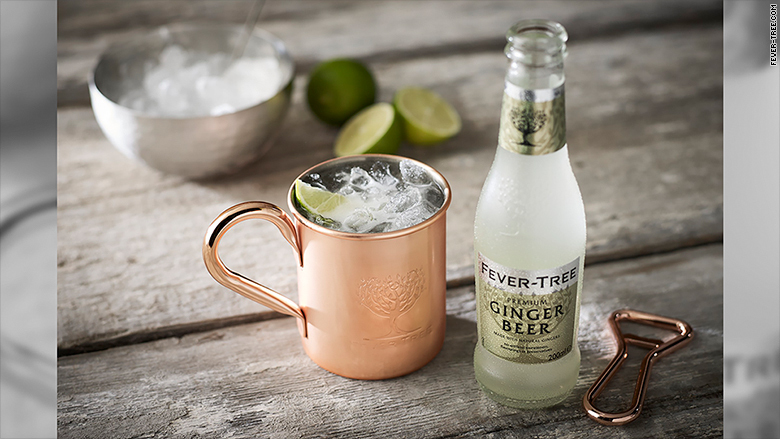 Fever-Tree sales have been surging as consumers demand more premium alcohol and mixers. 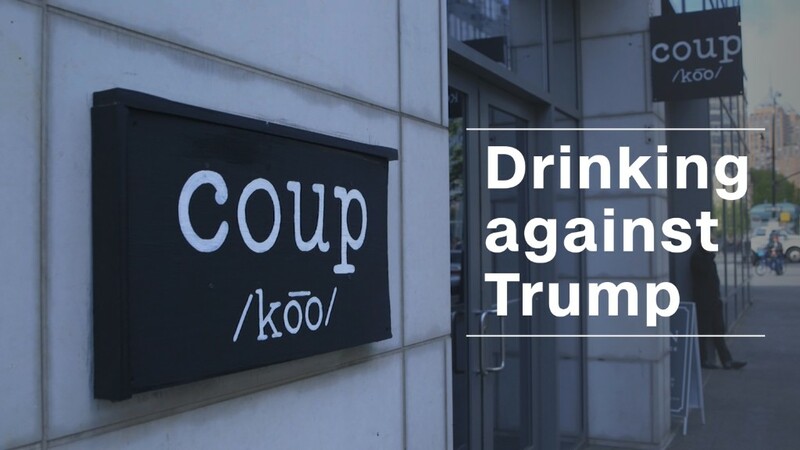 It's a marketing pitch that works, according to Jeremy Cunnington, senior alcoholic drinks analyst at Euromonitor International. "They've managed to successfully tap into the craft concept," said Cunnington. "It's capitalizing on the concept of people wanting quality products." Industry experts say the trend toward premium, ultra-premium and craft spirits is likely to continue. Gin accounted for 7% of global spirit product launches in 2012, but its share of debut products spiked to 12% in 2016, according to data from Mintel. In the U.K, where Fever-Tree makes nearly half its sales, gin consumption has risen by 26% over the past seven years. Fever-Tree is growing even more quickly, however. In the first half of 2017, its revenue in the U.K. boomed by 113% compared to the same period in 2016. Global sales grew 77%. 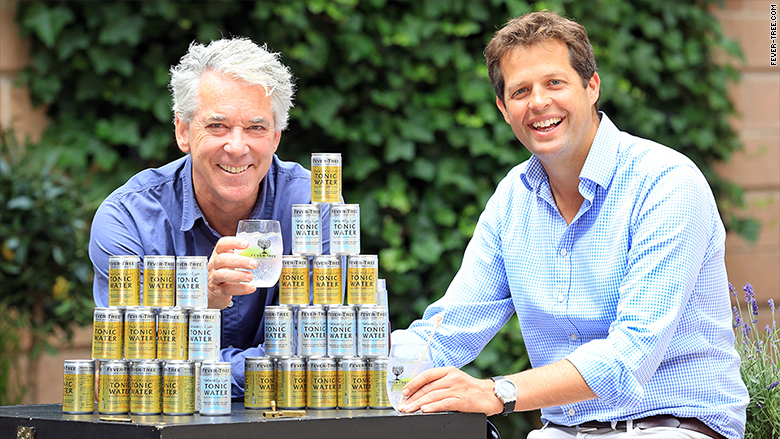 Charles Rolls and Tim Warrillow co-founded Fever-Tree. The brand's success has turned its founders into wealthy men. Rolls recently sold off a sizable stake in the company, netting him about £73 million ($100 million). When shares surged this week on better-than-expected results, Warrillow also sold shares worth about £29 million ($38 million). Rolls still owns an 11% stake in the firm, worth well over £260 million ($340 million) based on its current stock price. Warrillow, the firm's CEO, retains a 5% stake worth about £130 million ($170 million).